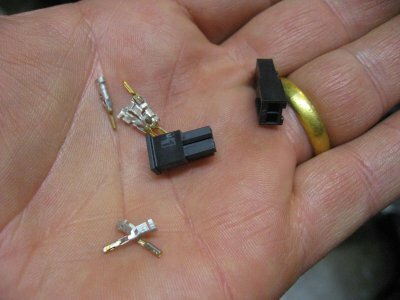 A few years back Jon Jambor of Kennedy Technologies sent me some sample mini molex connectors. I have been using them now for about 3 or 4 years all over the bike. They are perfect for low voltage signals like audio, GPS, radar etc. They aren't intended for high current applications, but they work great for low power devices. Anyway, I got a question about them over the weekend, and thought I would share the part number info in case anyone else needs it. I order them from mouser.com. 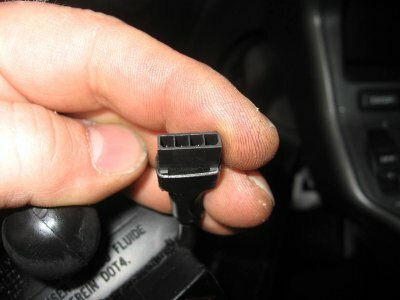 The pins are VERY tiny, and you will need a special crimping tool and some practice crimping them. Once you get the hang of crimping them, I think you will find they work real well. They are NOT waterproof, though I have used them without issue and gotten them wet many times. I like to use heat shrink on the rear of them to help keep water out. Anyway, here is the page in the Mouser Catalog that has them. They make them in 2 through 12 pin configurations, dual or single row. 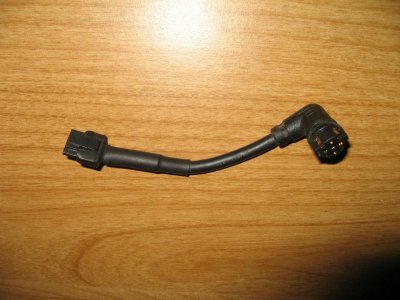 Mouser part number 538-43640-0401 ( 4 pin female) and 538-43645-0400 (4 pin male). Also need pins and crimping tool. See Mouser catalog http://www.mouser.com/catalog/637/1464.pdf Mouser lists some crimper tools at the bottom of the page, (one of them is around $250!) I bought a $17 D Sub crimper tool from Action Electronics. It took some time to learn how to use, but it works fine. http://www.action-electronics.com/crimpers.htm Here is the two pin version And here is how I modified my GPS cord on my 376c to try to save wear and tear on the Garmin connector that frequently breaks on it.